Bilimoria and Singer will speak about their NSF grants, including current IDEAL-N grants. Weatherhead's Diana Bilimoria, PhD, KeyBank Professor and Chair of the Organizational Behavior Department, and Case Western Reserve University's Deputy Provost Lynn Singer, PhD, have been invited to give a presentation at the STEM Gender Equality Congress in Berlin, Germany. Their presentation, Achieving STEM Gender Equity through University Culture Transformation: Insights from the IDEAL and IDEAL-N Projects, will take place June 8, 2017. 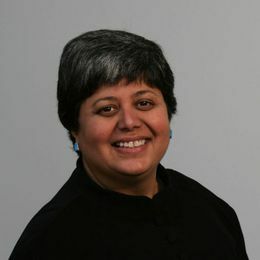 Bilimoria and Singer will be speaking about their National Science Foundation (NSF) grants including their current IDEAL-N grants (https://case.edu/ideal-n/), which brings together 10 research universities in Ohio and Pennsylvania to create a community of academic leaders invested in gender equity transformation in their universities and the enhanced recruitment, advancement, leadership and retention of women faculty in STEM disciplines. Check out the full agenda of the Congress.